Dr. Hassan Kafri received his medical degree from the University of Damascus School of Medicine in 1994. He later completed an Internal Medicine Residency, a Cardiovascular Disease Fellowship, and an Interventional Cardiology Fellowship all at William Beaumont Hospital. Dr. Kafri specializes in Cardiology. He has been helping his patients for over 20 years with various health conditions affecting the heart. 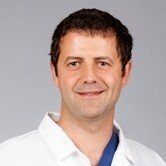 Dr. Hassan Kafri is certified by the American Board of Internal Medicine in Interventional Cardiology and Cardiovascular Disease. He is also certified by the Certification Board of Nuclear Cardiology. He speaks Arabic, German, Russian, Spanish, and English.